The following article was written by the author of this website when he was in ninth grade. The article was published in The Thirtieth Star, the junior publication of the Wisconsin State Historical Society, in it's February, 1961 number. At the centennial anniversary of the strike in 1998, I thought it appropriate to present the article as an overview of the strike. However tempted I was to do some editing, the article appears here as it originally appeared in The Thirtieth Star, without, however, some of the images that appeared in the article. A symposium commemorating the events was held on May 1, 1998 in Oshkosh. For more about that and further scholarship on the subject see the end of this page. For many years the woodworkers in Oshkosh had been looking up to their employers, but by 1898 they wanted to confront the mill owners across a bargaining table. The indignities suffered by the employees encouraged the men to listen to labor organizers. Around 1891 the Oshkosh Trades and Labor Council was formed and chartered. This council was the start of the labor movement in Oshkosh. Local unions of carpenters, cigar workers, tailors, painters, brewery workers, machine workers and decorators were already organized. Now united in a council they tried to establish a minimum employment age of fourteen and an eight-hour working day. The council became a force in the city and was one of the key factors behind the purchase of the water works. On October 4, 1897 the Amalgamated Woodworkers Union was chartered and gained strength rapidly. The union was faced with problems that are inconceivable today. Seven-eighths of the Woodworkers labored through a twelve hour day, five days a week, for $1.10 a day or less. Women were employed at lesser amounts, and boys were expected to do a man's job at forty cents a day. Frank J. Weber, American Federation of Labor and Wisconsin Federation of Labor general organizer, visited the city and spoke to a large audience of Oshkosh laborers, many of whom were woodworkers. Four days later Local 29, the strongest and biggest in the city, initiated one hundred new members, and Local 49 gained thirty-nine laborers. The Amalgamated Woodworkers Union was becoming large and powerful. On Friday, May 13, 1898 the union took decisive action. It presented the millmen with an ultimatum to be answered by 6 p.m. the next day. The terms were made out by four locals and signed by M.H.Kimball, general secretary of the union. The demands were: (1) a general advance of waged by twenty-five percent with a minimum of $1.50 per day for all workmen, eighteen and over; (2) an end to the employment of women; (3) mandatory recognition of the union by the millmen; (4) required weekly pay days. The last point was important because often the companies did not have any set time for paying their employees. The millmen reportedly said they would meet to consider these demands and would make no grants until the meeting. Prospects were gloomy and many feared that a strike would involve violence and bloodshed. All the Locals met in one common assembly on Sunday; the millmen had failed to answer. A general walkout was planned on all sash, blind, and door factories, principally the R. McMillen Co. the Paine Lumber Co., the Radford Brothers Co., the Williamson and Libbey Co., the Forster-Haffner Co., the Morgan Co., and the Gould Co. Thirteen hundred union and non-union men failed to show up at the factories Monday morning, but factories continued operating with curtailed crews. 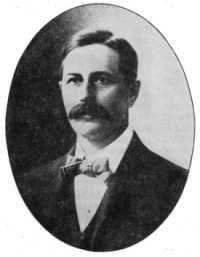 Thomas I. Kidd came to handle the strike as the general secretary of the Amalgamated Woodworkers Union. He stated to the press that the manufacturers had provoked the walkout by failing to answer the union, and he told the strikers that they would receive three dollars a day. He also brought news that woodworkers in the Mississippi River valley would be helping financially. Tow other men arrived in the city that day, Richard H. Edwards and R.O Jeardeau from the state arbitration board, hoping to arrange for a conference between the strikers and the mill men. Kimball and Kidd, the union's leaders, ordered that the congregating of union men on the streets would not be permitted. They did not want any disturbances to arouse the public against them. Newspapers reported that the union had been in court requesting warrants for the arrest of members of the Morgan Co., for the employment of children. Evidently nothing ever came of this until the strike was over. Also, a telegram, received by union leaders from Samuel Gompers, founder and president of the American Federation of Labor, stated that he planned to visit the city on Sunday to view and handle the strike. 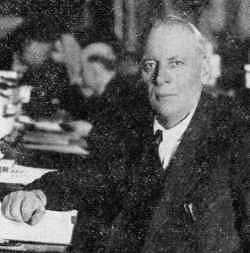 Frank J. Weber organized the Wisconsin State Federation of Labor in 1893 and was continuously an officer in the Federation until 1917. he was a member of the Wisconsin Assembly in 1907, 1909, 1911 and 1915 and was elected without opposition as a member of the 1923 assembly. On the third day of the strike, Frank Weber, who had appeared before the Oshkosh unions eleven days earlier, arrived in town with Richard Braunschwaig, a union official of the Chicago woodworkers. Mr. Braunschwaig told the strikers that they would receive both financial and moral support from the Chicago woodworkers. To substantiate his claim of moral support he declared that an official of the Chicago union had already gone to Manchester, England to formulate a boycott of Oshkosh doors in England. At the end of the week the strikers paraded through the streets of Oshkosh. Spirits were high among the men even thought word had been received earlier that Samuel Gompers had been delayed and would not be in the city until June first. Spirits rose even higher when it was announced that the Gould Co., had closed its doors because of an inadequate crew. Four conferences, arranged by the state arbitration board on May 30th failed to bring a settlement. 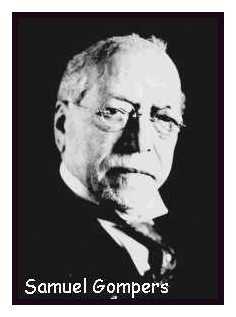 Two days later Samuel Gompers arrived and spoke to the strikers. He told them that American Federation of Labor would o everything in its power to help the strikers. He warned the mill men that their trade would go elsewhere, and the A.F.L would boycott Oshkosh sashes, blinds and doors in all parts of the nation and in other countries as well. He said the working conditions and the wages were some of the worst he had ever seen and he claimed that it had been , and still was within the mill men's ability to grant every one of the four demands made by the union. Gompers left the city that same evening and on the next day the strike was renewed with unusual vigor and graveness. Crowds at the mill increased and more strikers went on picket duty. Both the public and the police department became alarmed, and feared that violence would break out. But there was no violence, not at least for a while. The days of June went by with no disturbances, changes or settlements until June 23rd, when a giant crowd surrounded the Morgan plant and drove off non-union workers. Women, urged by the men, chased workers with clubs and threw eggs. Violence reigned supreme and the police were unable to control the rioters, even with fifty special sheriff's deputies. Disturbances were reported at other mills, with the most serious outbreak at the McMillen plant where James Morris, a seventeen year old striker was killed. When Edward Schofield, governor of Wisconsin, heard of the violence he telegraphed the chief of police and asked the seriousness of the riots. The reply prompted him to call out 407 militiamen from Milwaukee. The militia arrived late in the afternoon, and by then the rioting had quieted down, but the militia was stationed at all mills and throughout the city. Two deadly Gattling guns, the first machine guns, were stationed at two principal mills, and the gunners were ordered to fire if necessary, but to the relief of everyone the guns remained silent. The total casualties for the worst riot of the strike were one dead and eleven injured. Officials of the Morgan Company blamed Frank Weber and Richard Braunschwaig for inciting the riot. The allegation was made that Braunschwaig upbraided the union for the way the strike was handled and he goaded the pickets by telling them they would get nowhere with their peaceful policy. He reportedly said that in Chicago there would be several men in hospitals by this time, for rioting was the only way to gain a settlement. Thomas Kidd condemned the disturbance in an interview with a reporter from the Oshkosh Daily Northwestern, and said that the rioting was disgraceful. The day following the riot everything was quiet; the militia was seeing to that. Governor Schofield ordered the militia to stay i n the city in spite of objections of private citizens who felt that the backbone of the strike had been broken. However the strike continued and two days later, no crew showed up at Radford Brothers, and, even though Morgans and Paines were operating, the union felt they had won a minor victory. The sheriff swore out warrants for the arrest of fifty strikers. The Daily Northwestern thought the arrest of these people would be most difficult, but the sheriff deputized several more men specifically for the task. Thomas Kidd bitterly assailed the sheriff, the chief of police, and especially George M. Paine. On the other side of the issue came lumberman papers and other newspapers in the state. They printed that the strike was unfortunate and disgraceful. Expectations for a settlement were in the air on June 27th. Thomas Kidd, two attorneys represented the mill men, and an army Colonel met to discuss a settlement. The McMillen Co. offered to give a fifteen-cent hourly increase and bar women from working, but they refused to recognize the union. The men accepted the terms, and for McMillen, the strike was over, but not for the other mills. Since everything in Oshkosh had quieted down, four companies of infantry left for Milwaukee. The first signs that the union was weakening came on July 5th. The combination of the mill men closing all mills until the men were willing to return to work and the failure of the union to pay the strikers shook their faith in the strength of organized labor. It was only a matter of time now before the strike was halted. About now the citizens were becoming tired of the strike and they wanted it ended. They had seen rioting, and bloodshed, and armed militia patrolling the city. A citizens committee approached the mayor and asked that he do everything in his power to stop the strike. Thus, on the 6th, in a council meeting, the mayor provided for an arbitration committee to investigate the strike and try to end it. The Morgan Company of Oshkosh with his two cousins J. Earl Morgan and Albert T. Morgan. The strike progressed through July, and the merchants in the city began to feel the pressures of the strike. They had lost a good deal of money since the workers were no longer being paid their regular wages. Ina addition to this, the merchants had given credit to the workers because they feared a loss of trade after the strike. One merchant alone reported that from the beginning of the strike five thousand dollars had been added to his books in credit, and in those days it was unusual to carry that much on the books. The strikers worked outside the city on farms and many gardens both as something to do and for food. Though many strikers obtained work, there were still seven hundred men idle. The union opened a store on Otter Street where strikers could get food and supplies at wholesale prices. On August 2nd both Paines and Morgans opened and got small crews but no union men. Several crowds stated gathering but were broken up by the police. A crowd in front of the Morgan plant on the morning of August 5th ambushed workers on their way to work. Strikers threw rocks and slightly injured some of the workers. About 25 special police broke up the riot and arrested the leaders. The day ended peacefully. Thomas I Kidd and picket captains George Zentner and Michael Troilber were arrested charged with conspiracy. The hearing was set for August 12th and bail was set at $2,000.00 each. After paying the bail, Kidd left for Chicago. Upon returning to the city he was arrested again, charged with conspiracy to injure the business of the Paine Lumber Company, and was sued for $15,000 damages. Kidd employed Clarence Darrow, noted lawyer who had defended Eugene V. Debs several years before. On August 13th, union men began returning to work, and by the 16th the mill men reported that they were gaining ground in spite of Kidd's struggle to hold the union in line. On August 17th the strike ended for the Gould and the Foster-Haffner companies, with neither company making any concession to the original manifesto. On August 20th the strike was officially lifted by the Amalgamated Woodworkers Union. Thomas I. Kidd, George Zentner, and Michael Troiber appeared in Municipal Court, presided over by Judge A. H. Goss, at which time the state, represented by the district attorney, Walter W. Quarterman, filed a complaint of conspiracy to injre the business of the Paine Lumber Company. According to the state law, indictments were not necessary so the trial was set for October 14th. When court convened there were three lawyers at the defense table, Harry I. Weed and Earl P. Finch, both local attorneys, and Clarence Darrow of Chicago. At the prosecuting table sat the district attorney, Walter W. Quarterman and F. W. Houghton, a local attorney hired at fifteen dollars a day to assist the district attorney. 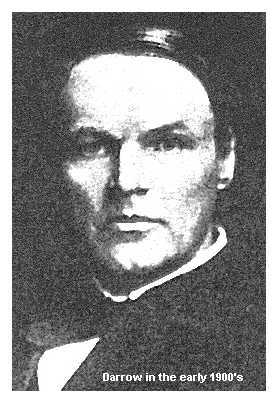 To Clarence Darrow, the chief defense attorney, who had already gained fame throughout the labor world in his defense of Eugene V. Debs, this was not just an ordinary case of conspiracy. He believed this battle to be part of the greater social struggle agitating the world - the labor movement. He was not the only man with a social conscience; many prominent men throughout the country were watching the trial with extreme interest because this was a specific case in the new concept of organized labor. The trial started slowly; it took four days just to select the jury. The opening address for the defense was made by Harry I. Weed who labeled the mill men as the conspirators and the workers as the victims. He said that the mill men were conspirators against humanity and man's natural longing for freedom and equality. After the opening addresses came the testimony of former strikers as to Kidd's presence in the city and his arrangements for the strike. 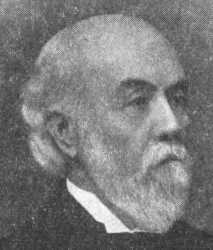 George M. Paine testified that the strike had cost his plant about $25,000. The defense moved that Nathan Paine's name be entered in the record as an assistant prosecuting attorney because most of the witnesses were Paine men, and while they were testifying Paine would sit and confer with the prosecuting attorneys on how they testified. The defense objected vigorously, because the men would be sure to testify to please their boss, and convict Kidd and his co-defendants. The objection was gravely overruled by Judge Goss. The state rested its case after Thomas Kidd testified that he had come to Oshkosh just to handle the financial end of the strike; that he had urged the strikers not to cause riots or disturbances; and that he knew nothing of the major or minor riots until they were almost over. The defense introduced witnesses to show the conditions at the factories and show why the strike was justified. Then came what proved to be the major event of the trial, for Darrow's final summation had a lasting effect on the labor movement in the United States. He began it on October 31st, and the Milwaukee Journal reported Mr. Darrow held the packed courtroom spellbound. Darrow's summation was in defense of Kidd but it could be used as a defense for any labor dispute. The brilliant and masterful summation lasted seven and one-half hours. Darrow, speaking without notes, maintained that the state was not really the complainant in this case, but that George M. Paine was the man responsible for the district attorney filing the complaint. He argued that the strike was an episode in man's fight for liberty, and pointed to the "lumber barons", who were growing fat and rich over the toils of men they were employing for less than a dollar a day, as the real criminals. He stated that no one man, not even a large group of men, could be held responsible for this strike, for if one man had been absent, even a hundred men absent, there would still have been a strike, accompanied by the mad riot at the Morgan and McMillen plants. Not until human liberty and equality are secured on the earth will man stop fighting for these natural desires. He maintained that Kidd had been brought into court because he was good, and he loved his fellow man, and that evil men, criminals in themselves, were using the law for the purpose of bringing righteous men to death or jail. Concluding his summation, he instructed the jurors that their decision would not only determine whether or not Thomas I. Kidd and co-defendants were guilty but "...that you will render a verdict in this case which will be a milestone n the history of the world, and an inspiration and hope to the dumb, despairing millions whose fate is in your hands." Darrow's summation, in simple and direct words, not only presented a history of the grievances against the Paine Lumber Company but also a history of trade unionism and the struggle for labor equality. When Darrow finished on November 1st, F. W. Houghton completed his summation for the state. He generally confined his summation to the history of the strike and paid little reference to Darrow's summation except to bitterly deny the issues set down by the defense attorney. The case went to a jury of eleven men, since one man had dropped out because of prejudice. The jury was out fifty-five minuets, took tow ballots and came back with a decisive verdict of "not guilty." It is interesting to note that even before the trial was over, a state inspector was securing warrants for the arrest of several mill officials on a charge of employing children. Shortly after the Kidd trial these mill men were brought to trial. There were no immediate results of the strike. The workers still received the same wages and worked under the same conditions. But as time went on the mill men in Oshkosh, as well as employers in the rest of the country, were forced, by social pressures, to submit to the wishes of the union and their employees. Today unions are one of many social forces shaping the nation, politically and economically,. The have fought for rights. Privileges and benefits unheard of in 1898. The woodworkers strike and the Kidd case were tow of many events which led to the better working conditions which prevail in the United States. More detailed research, and the full text of Clarence Darrow's summation is in the May, 1976 issue of The Green Mountain Quarterly. (Oshkosh, 1976). The article is written by Lee Baxendall. The Green Mountain Quarterly is no longer published, but should be available through local libraries. Virginia Crane, Ph.D. Professor of History at the University of Wisconsin - Oshkosh, has published a book on the subject: The Oshkosh Woodworkers' Strike of 1898: A Wisconsin Community in Crisis. WorldCat Listing. The University of Minnesota Law Library has an in-depth look at the strike at Oshkosh Woodworker's Strike (1898). This is part of the Clarence Darrow Digital Collection.